Please click here to read newsletter if it is not properly displayed below. "If you are not killing plants, you are not really stretching yourself as a gardener." New pumpkins are now available. We've also added some wine bottle decorations to the mix. These make great gifts. Succulent pumpkins now available by order for the holidays. They are not cut in any way. Last year people had them on display from Oct until Feb! Large pumpkin with orchids $120. We also have some in the store that are ready to go. Nowadays, Americans are eating five times more fresh spinach than we did in the 1970s. And forget about the canned, slimy stuff Popeye downed in one shot back in the old days; we now prefer our spinach fresh. And what could be fresher than growing it yourself? The cool temperatures of autumn are perfect for optimum spinach production. Those of us gardening in warmer regions grow spinach through the winter, as long as temps stay above 25 degrees. A light frost will not hurt it. There are generally two types of spinach: smooth or savoyed. Smooth types are more tender and are best for salads, while the crinkly leaves of savoy spinach can be rubbery and are better for cooking. Some spinach cultivars walk the line between smooth and savoyed and are pretty yummy either raw or cooked. If you're starting your spinach from seed, soak the seeds in a plastic baggie overnight in the refrigerator before planting. This will soften the hard coating of the seed and allow better germination. 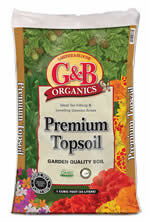 Before transplanting, amend your soil with G&B Organics Harvest Supreme. Place transplants about six inches apart, and make sure the soil stays moist and cool. The biggest enemy of spinach is heat, so use shade cloth if temperatures rise dramatically during the day. Mulch is also a good addition for keeping the soil cool. Spinach, like lettuce, does well in containers--with the advantage that you can move them into shadier areas if it gets too warm. You can harvest spinach by individual leaves or by cropping off the entire plant at the base. As long as temperatures remain cool, the plant will continue to produce leaves...and keep those delicious spinach salads coming. If you live in a particularly windy area, stake young trees to keep them from breaking. The best way to stake is to use two sturdy stakes a couple of inches away from the trunk. Secure them to the trunk with rubber ties. This will allow them to move a little, which will help your sapling develop into a much stronger tree. Be on the lookout for Christmas cactus, which should be arriving late this month. When chrysanthemums have finished blooming, cut them back. Plant paperwhite narcissus in a container for a fragrant display in about 4-6 weeks. Continue planting shrubs, trees, perennials, groundcovers and annual color. 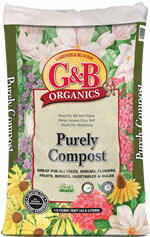 We recommend amending with one of our G&B Organics garden soils before planting. Shop for cyclamen for a colorful addition to the shade garden or container garden. Continue raking leaves. Dispose of any diseased foliage; others can be added to the compost pile. Pick up and dispose of any old fruit. Prune acacia trees. Shorten any overly-long limbs; if a lacy look is desired, remove some limbs and branches. Continue planting wildflowers by seed. Cut back and divide any overgrown perennials, if needed (this does not need to be done yearly, only every 3-5 years). Shop for sasanqua camellias. These fall-blooming beauties should be available and in color now. Select trees to add to your garden that will provide fall foliage color. This will be your best chance to get just the color you're looking for. If you live in a high-wind area, lighten the canopy of any overly-dense trees to allow more air to pass through and prevent wind damage. Apply bait to flower beds to control cutworms, slugs, snails and earwigs. Wrap the trunks of young avocado and citrus trees to protect them from the cold. Once the rains arrive, discontinue watering cacti and succulents growing in the ground. Fertilize cool season annual color, after it has been planted for at least 4 weeks. Transplant landscape shrubs and trees. Select plants with colorful fall berries to include in your garden. 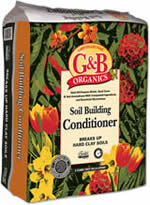 Continue to plant cool-season vegetables, including garlic and onion sets. 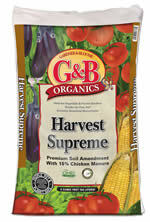 Amend with G&B Organics Harvest Supreme before Planting. As the weather cools, decrease watering all plants--plants will stay moist longer in cooler temperatures. Cut perennial grasses, such as red fountain grass, down to within 4" of the ground. This will make for a much neater and more attractive plant next spring. Severely prune any rampantly growing shrubs (such as night-blooming jessamine and butterfly bush). Prune blackberries, boysenberries, loganberries and spring-blooming raspberries. Cut the old canes to the ground, leaving the new ones that grew this year; these will provide your fruit for next year. Wait to prune low-chill raspberries until December or January. Continue watering roses until mid-month, if rains have not been adequate. Holiday cacti are not hard to take care of, if you remember not to overwater them; getting them to bloom on time is a bit more complex. In order for these plants to form flower buds for holiday blooms, they need extended darkness for at least four weeks. Place the plant in a dark room or keep it covered (under a box or bag works fine) for at least 12 hours a day. When buds appear (it usually takes around four weeks), the darkening schedule can stop. As the buds get larger, move the plant gradually to where it will be displayed for the holiday, avoiding extreme temperature or lighting changes. Continue to water and feed while the plant is budding and blooming. Water only when the soil is completely dry--these plants do not like soggy roots. Nestled as it is between Halloween and Christmas, Thanksgiving sometimes gets lost in the shuffle--and, if you think about it, that really is a shame. Despite all the bad news we are subjected to daily, we all have so many things to be thankful for. Thanksgiving gives us a great opportunity to reflect on all of our blessings, even if it's just one day a year! Like the holiday itself, decorating for the day also sometimes gets overlooked. With the anticipation of the extensive efforts Christmas decorating requires, it seems tempting to limit our preparations for Thanksgiving to the food (no small feat in itself) and call it a day. Everyone knows that even a delicious dinner benefits from a little ambiance, and the good news is that Thanksgiving decorating can be fairly simple--in fact, some of the same decorations that were just used for Halloween can be pressed into service for an encore performance on Thanksgiving! With a short trip to the garden center and a walk around your neighborhood or yard, you will have a wealth of materials to create the perfect setting for your Thanksgiving celebration. Chances are you still have some un-carved pumpkins left over from your Halloween decorating. Use your pumpkins on your front porch combined with some potted chrysanthemums or ornamental cabbage or kale. Use pots of different heights and shapes to provide visual interest for an eye-catching display visible from the street. Now for the front door--decorate a straw- or moss-covered wreath form with your choice of the following items: branches of colorful foliage, fall flowers, Indian corn, berries, tiny pumpkins and/or gourds, miniature pomegranates, apples, pears, oranges, acorns and small pine cones, and finish it off with a bow made of raffia or burlap. Choose either fresh or faux materials, or use a mixture of both (the more perishable items, such as flowers and some of the fruit should probably be faux, to extend the life of your wreath). Cut flower arrangements lend a special feeling to the home wherever and whenever they are used. During the fall, focus on using materials more conducive in color and texture to the season. Good choices for flowers are calendula, gaillardia, coreopsis, sunflowers, orange roses and orange alstroemeria. Plants with colorful foliage like ginkgo, maple, Chinese pistache, liquidambar and nandina provide added texture and color. Add some berry sprays from California holly, nandina or pyracantha along with some ornamental grass plumes and you will have a memorable arrangement. Seating areas such as couches, chairs and love seats can undergo an inexpensive seasonal makeover by simply changing the throw cushions. Substitute lighter fabrics for heavier richer ones and change bright or pastel colors to warmer, muted tones. Add a comfy afghan or throw to create a truly cozy atmosphere. Last but not least, we need to decorate the holiday table. Using a faux autumn-themed garland, create a serpentine pattern down the center of the table, lengthwise. Choose several (an odd number is best) bright red apples or miniature pumpkins. Hollow out a space (on the stem end) of each apple or pumpkin just large enough to accommodate a votive candle. Insert one votive candle in each piece of fruit or pumpkin and place them sporadically on either side of garland. Light the candles and count your blessings! We will be returning to Standard Time on Sunday, November 4. Remember to set your clocks back to 1 AM on Sunday at 2 AM. Or just reset them Saturday evening and enjoy that extra hour of sleep! In a mixing bowl, combine the butter, peanut butter, brown sugar, corn syrup and vanilla; gradually add the oats. Press into a greased 13 x 9 x 2-inch baking pan. Bake at 400 degrees F for 12-14 minutes or until edges are brown. Meanwhile, for topping, melt all chips and peanut butter in a microwave or saucepan. Stir until blended; spread over warm bar mixture. Cool completely; refrigerate for 2-3 hours before cutting. Winter gardens have a beauty all their own, and now is the time to plant hearty cool season flowers, trees and vegetables!